This section of our technical library presents information and documentation relating to IVR Solutions and custom IVR software and products. Business phone systems and toll free answering systems (generally 800 numbers and their equivalent) are very popular for service and sales organizations, allowing customers and prospects to call your organization anywhere in the country. What is IVR Software?. An Interactive Voice Response (IVR) processes inbound phone calls, plays recorded messages including information extracted from databases and the internet, and potentially routes calls to either inhouse service agents or transfers the caller to an outside extension. It enhances our phone system's current robust features of predictive dialing, ACD, and digital call recording. This 800 number system acts as a toll free answering service, front ending your phone, collecting useful information from a caller before the call is transferred to an agent. And the IVR system could fulfill the caller�s request without a transfer. The Pacer IVR software solution gives your organization a 24 by 7 capability, providing around-the-clock information to your callers. But Is the Customer Satisfied? DSC provides IVR software including our IVR wizard development tool for creating interactive voice response applications. Our IVR Solution lets you increase ivr developer productivity by providing a visual development environment. IVR applications can be defined in minutes using this sophisticated, yet easy to use development tool. 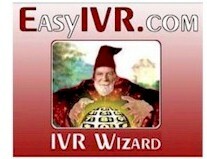 DSC also has available a comprehensive IVR software library known as our IVR Wizard Software Development Kit. This optional package is available for programmers and systems adminstrators who wish to manage IVR programs from Windows IVR, Linux IVR or Unix operating environments. Such benefits can show an immediate return on investment and make any call center more profitable. Contact DSC today. to learn more about our IVR services and IVR application development software.